In a world where rebuilding the population is critical to national survival, the Pragmatist government licenses all human reproduction, and decides who can--and must--have babies. 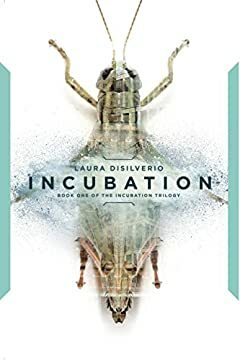 The trio face feral dog packs, swamp threats, locust swarms, bounty hunters looking for "breeders," and more dangers as they race to Amerada's capital to find Halla's soldier boyfriend before the Prags can repo her baby and force the girls into surrogacy service. An unexpected encounter with Bulrush, an Underground Railroad for women fleeing to Outposts with their unlicensed babies, puts them in greater peril than ever. Everly must decide what she is willing to sacrifice to learn her biological identity--and deal with the unanticipated consequences of her decisions.